Data migration, storage and user experience made easier! Mobility defines various paradigms of a business enterprise’s operations and contributes to taking the business to the next level. 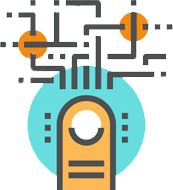 We provide you with the diversifying aspects of data mobility starting from mobile app user experience including locking up data for security and finally, ensuring a reliable flow of information. Virtustream-MENA is today the most preferred choice of businesses for the steadfast and intuitive enterprise data mobility solutions that only we can offer. As you know, data mobility strives to transform the way businesses are in control of both their onsite and remote workforce strategies, while they utilize the latest mobile technologies to trigger the efficiency of business processes. There is no doubt that data mobility has gone a long way at transforming businesses and the effectiveness with which they exercise the power to ensure efficiency throughout the processes and workflow. It helps businesses to improvise the decision-making process in the office and outside and collect and deliver information that is reliable all in the real time. We provide you with data mobility solutions that exhibit core competency managing the flow of data across your business enterprise. The whole point of implementing data mobility for businesses is to make it easier to utilize mobile devices to perform work outside of the workplace providing access to the system from anywhere, at any time. Our data mobility solutions have been structured to offer your organization with a great deal of freedom and flexibility at organizing and managing processes with enhanced ease. We have already helped various remote workforces from around the world to experience the hike in productivity.